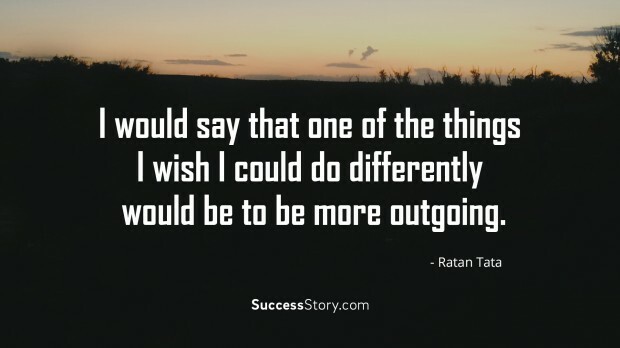 Ratan N. Tata is a world famous personality and his success story inspires a lot of people. Everyone wants to be inspired in such a way that they have a clear mind set towards their goals and know the ways to achieve it. There are certain things that we cannot understand unless we our self go through those phases of life. 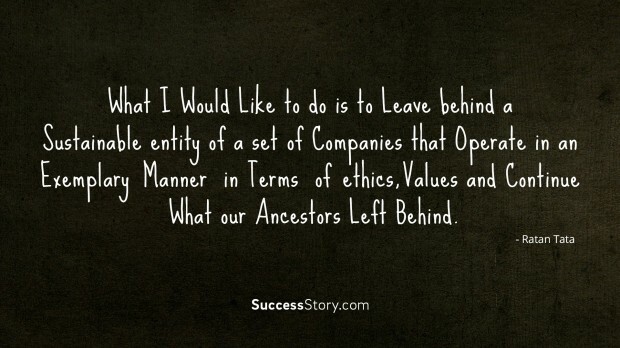 "What I would like to do is to leave behind a sustainable entity of a set of companies that operate in an exemplary manner in terms of ethics, values and continue what our ancestors left behind." 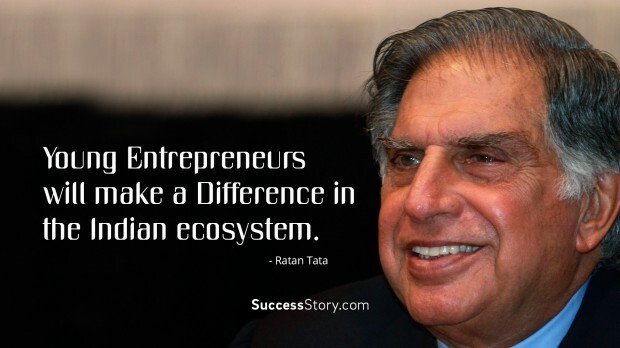 "Young entrepreneurs will make a difference in the Indian ecosystem." "I don't believe in taking right decisions. 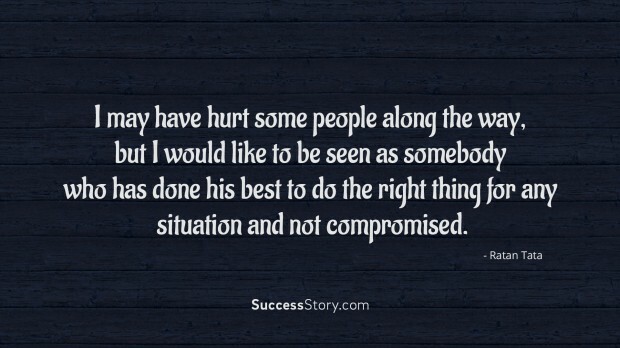 I take decisions and then make them right." 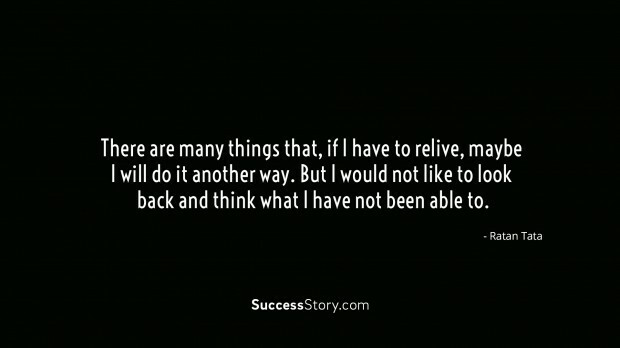 "There are many things that, if I have to relive, maybe I will do it another way. But I would not like to look back and think what I have not been able to." 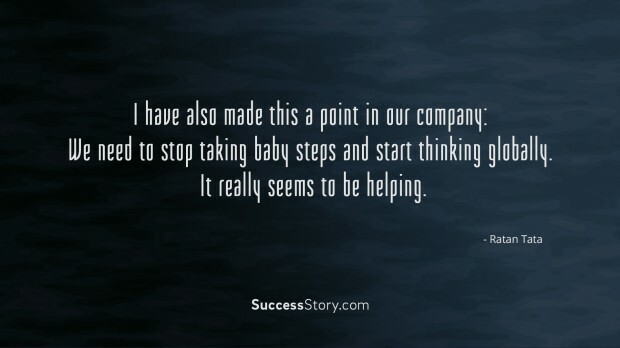 "I have also made this a point in our company: We need to stop taking baby steps and start thinking globally. It really seems to be helping." 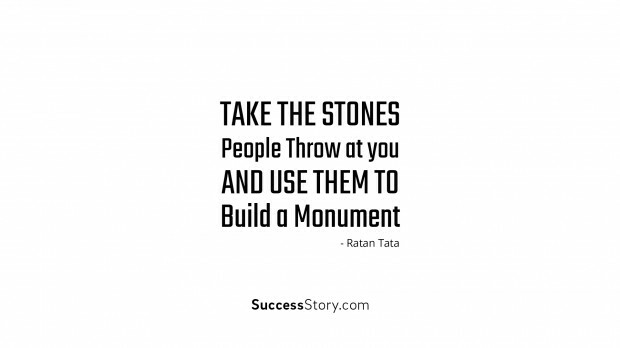 "Take the stones people throw at you, and use them to build a monument." 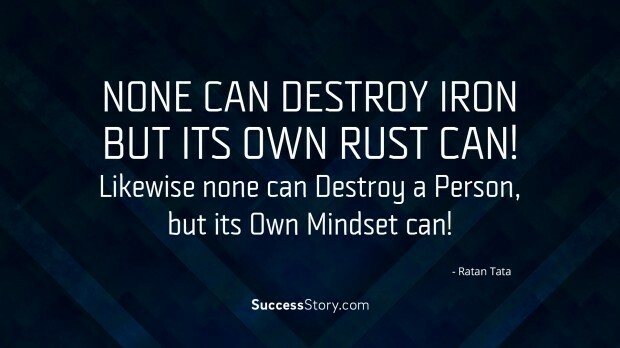 "None can destroy iron, but its own rust can! Likewise none can destroy a person, but its own mindset can!" 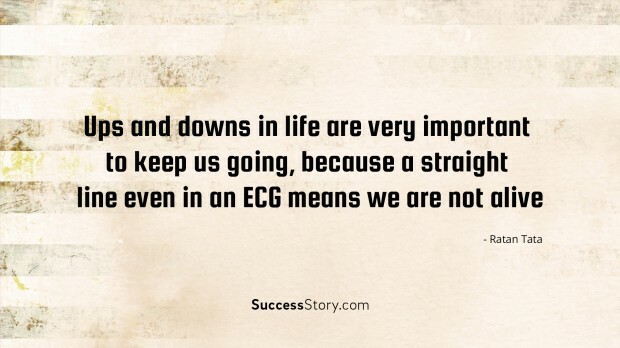 "Ups and downs in life are very important to keep us going, because a straight line even in an ECG means we are not alive"
"I have always been very confident and very upbeat about the future potential of India. 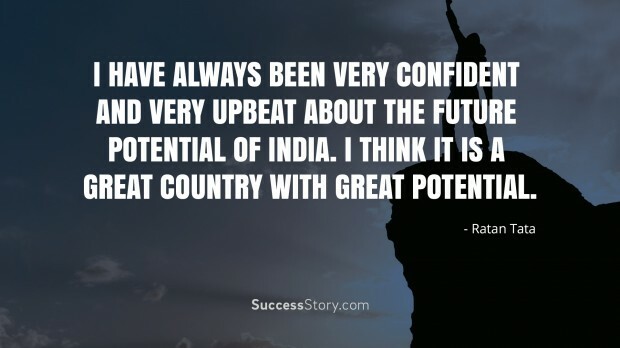 I think it is a great country with great potential." 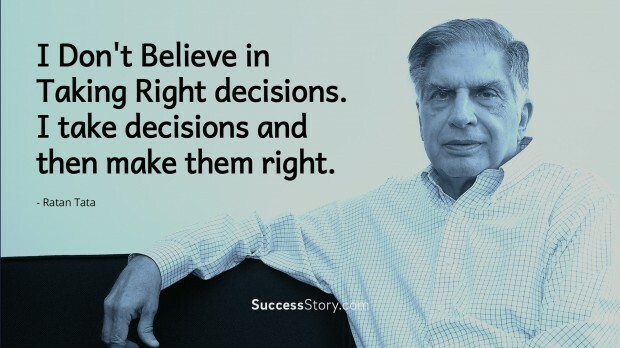 In order to be a legendary businessman like Ratan Naval Tata, you need to know more about him, you need to understand his attitude towards varied things. You need to go through the same mind-set that he followed and is still following. If you want to become like him and he is your idol then you need to walk in his footsteps. Doing hard work for becoming successful is necessary but only this will never yield out the results you desire. For that you need to rise up and shine your ideas in such a way that it can help the whole universe. You need to understand varied basics of being successful. You need to know the secrets behind it and that can only be done when you follow the advices given by such successful personalities who have already achieved the goals you dream about. It is always preferable to know more and more about your goal and how to achieve it. 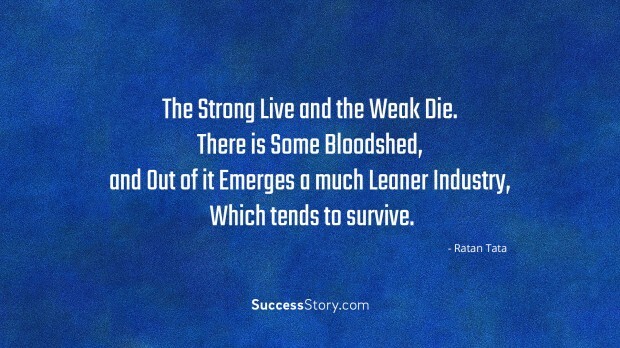 If you desire to live a life like Ratan N. Tata then, you must keep his saying in your mind. Here are some excelling quotes written by him which will inspire you and guide you to achieve your goals of your dream life.